Can you tell us which direction they are from the city warp? How tall/floors will you be building? Open or estimated opening date? If you design nice spacious apartments that are easy to find and that admins are proud to show ppl, please tell us here so we can start moving ppl in once their officially open. 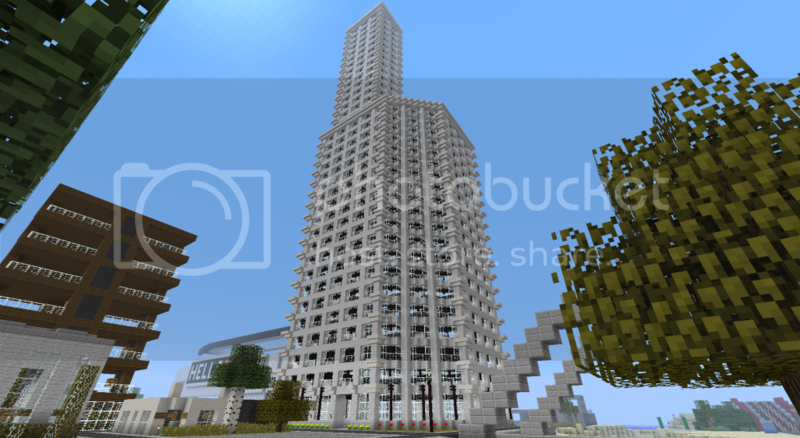 A new apartment building has been built in the city, next to the lake and close to warp city. The apartments are 94 squares big, and each have a balcony with an awesome view over the lake. 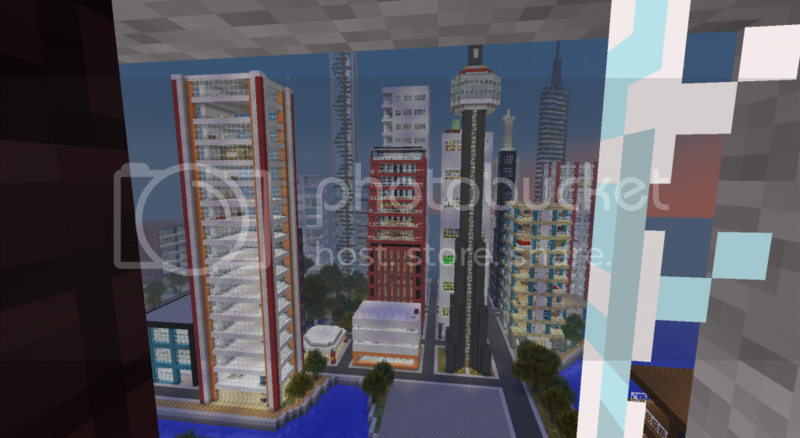 They are very open, with alot of windows, from which the player can see the skyline of the city. In the ground floor of the building, there is a food shop. 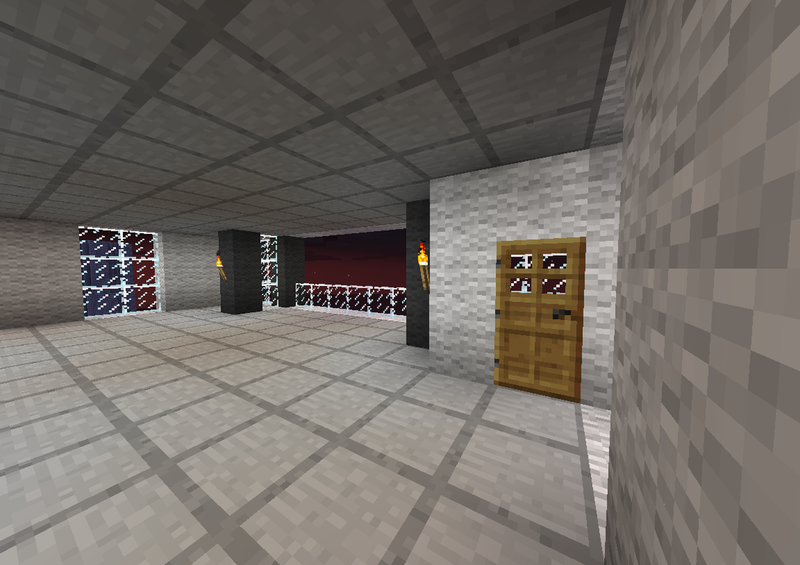 With the apartment also comes access to 4 farms; a pumpkinfarm, a treefarm, a sugar cane farm, and a wheatfarm, in the InGen tower. Every apartment only costs 200F. The lake side of the building. The city side of the building. The balcony of one of the apartments. 4 apartments have already been sold in one day, so if you want to buy one too, be quick! The apartments are already regioned, all you need to do is add the player to the region. The region names are ZApartment1, ZApartment2, etc. 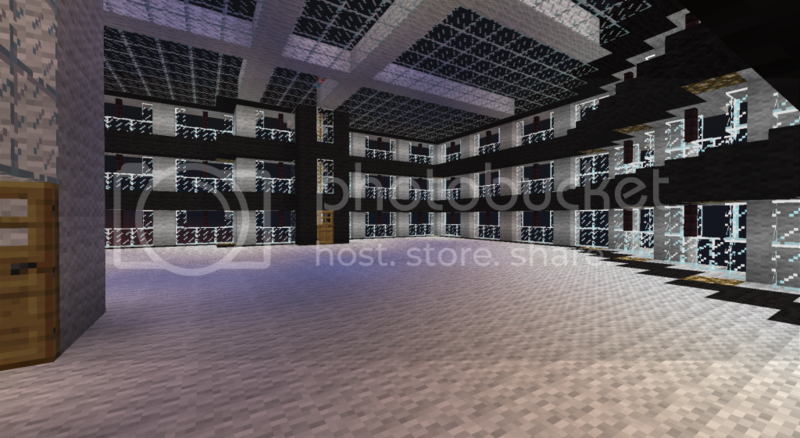 Also add the player to the regions kamer1, kamer2, kamer3, and kamer4. 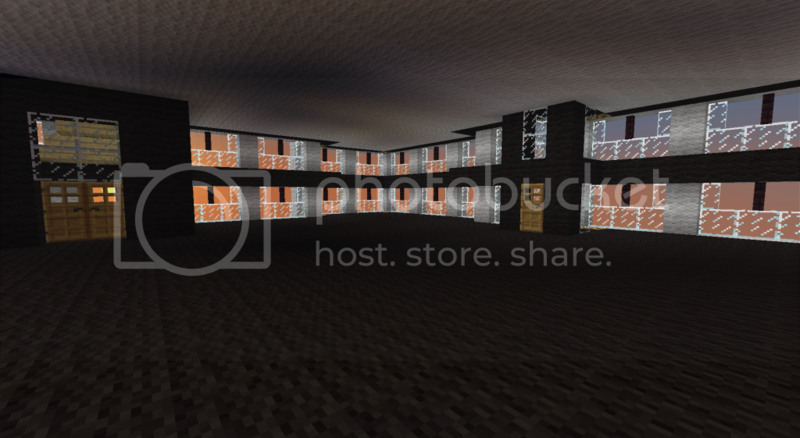 Those are the farms in the InGen tower. 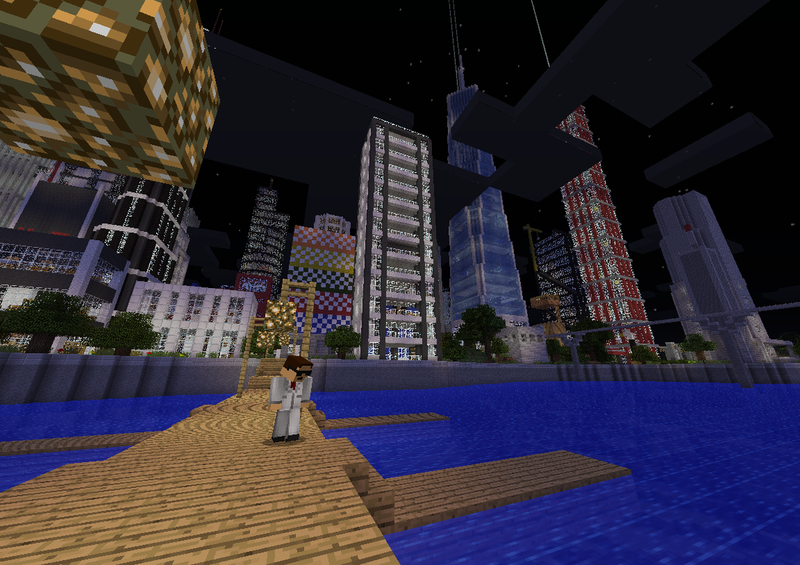 The oceanside of downtown has always been the most exclusive area on the server, glad to see some more proper, modern skyscrapers there. Nice work Beta!! 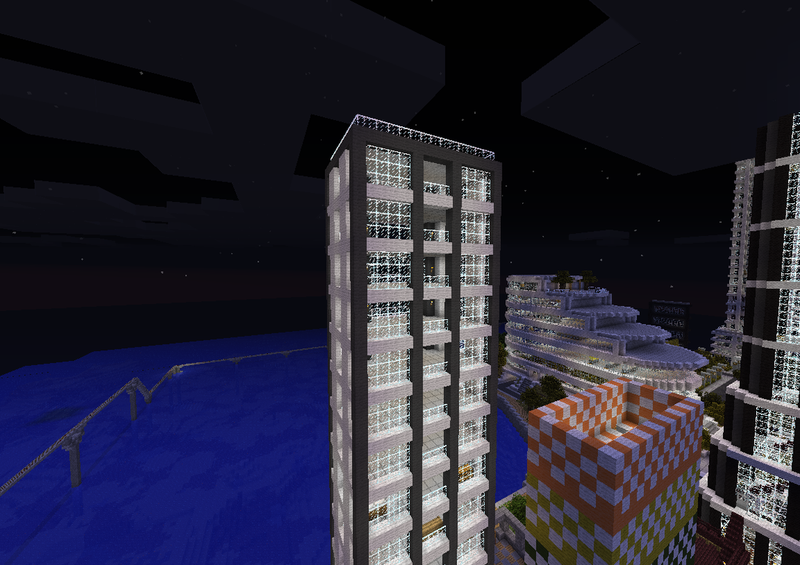 Apartments and suites are ready to be sold in the Hipp Tower, valleycity, right next to Helloclan stadium. There are 8 apartments and 5 suites still available. 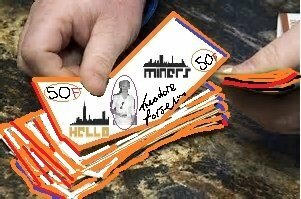 Apartments start at 1000 F for the whole floor and suites cost 300 F.
They feature views of the city, the stadium, Red Gate Bridge, the ocean, etc. all within a beautiful skyscraper. NICE APPARTMENTS FOR SALE AT THE SUBURBS!!! How tall/floors will you be building? 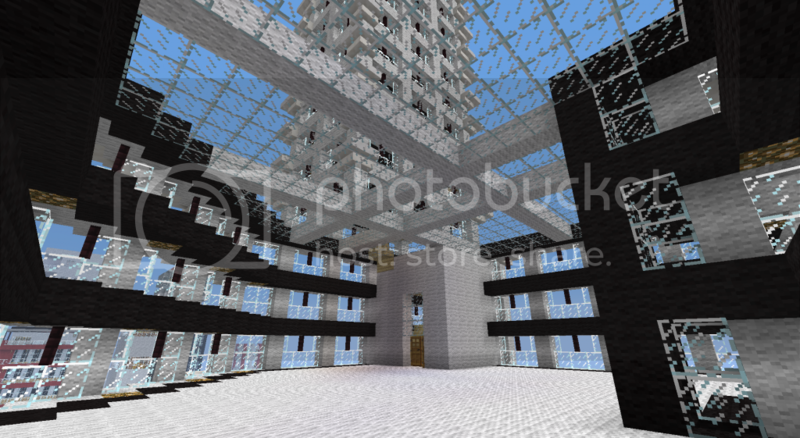 it has 9 floors and a roofrestaurant, there's one room whith 2 floors, the other rooms have one floor.